No other date in modern Germany is as laden with significance as 9th November. While two events from the darkest chapters of German history – Hitler’s unsuccessful ‘beer hall putsch’ in 1923 and the Reichspogromnacht (often called ‘the night of broken glass’) in 1938 – took place on this date, the day is also associated with the fall of the Berlin wall in 1989 and the proclamation of the first Republic in 1918. In this blog post, I take the recent anniversary of the latter two as the occasion to look more closely at the presidencies of the Weimar Republic and the German Democratic Republic. Political scientists are largely aware of the (powerful) Weimar presidency, not least due to the fact that Maurice Duverger included it as an example of semi-presidentialism in his seminal book and article. However, the fact that the German Democratic Republic likewise had a single-person presidency for the first eleven years of its existence is relatively unknown. The presidency of the Weimar Republic was the first instance of a non-hereditary head of state in Germany. Thus, the discussions in the constitutional convention focussed among others on the French experience, although it was rather seen as a warning against concentrating too much power in the presidency than genuine inspiration, and other republics. Nevertheless, the convention eventually decided against a collegiate head of state and created a comparatively powerful single-person presidency. In hindsight, it was often seen as too strong and was therefore labelled ‘Ersatzkaiser’ – ‘substitute emperor’. Nevertheless, not all relevant powers are necessarily captured by contemporary approaches to measure presidential power. The president appointed the Reichskanzler (chancellor) and the cabinet ministers, yet these had to step down if the Reichstag (parliament) passed a vote of no-confidence. The constitution clearly gave the chancellor the right to determine the general direction in policy-making, yet presidents also claimed such a right for themselves, especially in foreign and defence policy. The president had no formal veto power (interestingly, the possibility of a particular type of pocket veto existed even then) but could put a bill to a referendum. The president could also dissolve the parliament at any time; however, at least officially this was only possible once for the same reason. Last, the president was able to force individual states to meet their obligations to the federation – even with military force. Shugart and Carey (1992) give the Weimar president an overall score of 16, largely driven by his prerogatives in government formation and dismissal and parliamentary dissolution, which is more than the current Russian presidency (14) but less than the Belarussian one (19). The election of the presidency contained a number of additional notable quirks. The first president Friedrich Ebert (Social Democrats) was still elected by the constitutional convention for a seven year term; the following two contests were held by popular vote. Thereby, a candidate needed to win an absolute majority in the first round of voting or, failing that, a relative majority in the second round. The second round was however not a run-off – any candidates from the first round could run again and even new candidates could be proposed. In fact, the second president, Paul von Hindenburg, did not compete in the first round of the 1925 election but was only a nominated by the national-conservative ‘Reichsblock’ after its initial candidate was considered not to be sufficiently appealing to beat out a popular opponent. Contrary to most modern semi-presidential systems, the Reichstag also had the right to initiate a recall referendum to dispose of the president (requiring an absolute 2/3 majority of deputies). However, if the recall failed, the Reichstag was to be dissolved and the president considered elected for another seven year-term. In October 1949, a little less than five months after the establishment of the (West) German Federal Republic, the German Democratic Republic was founded and enacted a new parliamentary constitution that had already been drafted a year earlier. The GDR was a real-socialist people’s republic and thus naturally not a democracy. However, looking at its institutional structure is nonetheless interesting as it diverges from other countries of the Eastern bloc. 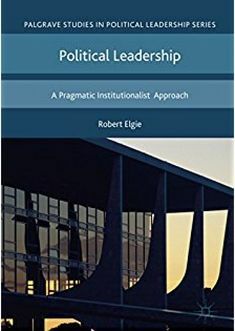 In particular, until 1960 it was organised as an archetypical parliamentary democracy and surprisingly similar to its new West German counterpart. The president was elected indirectly by the Volkskammer (people’s chamber – lower house) and the Länder Chamber (states’ chamber – upper house) for a four year-term. Only a relative majority was necessary to elect the president, yet an absolute 2/3 majority in both chambers was needed to recall the president. The president appointed members of the government, yet the constitution stipulated that the largest party group in the lower house nominated the minister-president (prime minister), that each party group of at least 40 MPs was part of the government, and that parliament confirmed the government before it took office. The president had no right to veto legislation; however, he was allowed to voice concerns over the constitutionality of acts and ask the lower chamber’s constitutional commission to investigate these concerns. The president could also not dissolve parliament – the constitution only allowed for self-dissolution (or automatic dissolution in case parliament passed a vote of no-confidence in a new government). The fact that all acts of the president required the countersignature of the prime minister or the respective cabinet minister furthermore highlights the presidency’s subordinate position. Thus, when we apply Shugart and Carey’s (1992) scheme to measure presidential power, we only arrive at a score of just 1 (thanks to the stipulation on a constructive vote of no-confidence). After the death of Paul von Hindenburg in 1934, Adolf Hitler as Reichskanzler became acting chancellor and merged the functions of chancellor and president – a move confirmed shortly after in an only moderately democratic referendum. The office was only revived for three weeks when Karl Dönitz took over the office after Hitler’s suicide until the German surrender and then ceased to exist. In the GDR, the office of president was similarly abolished with the death of its officeholder – after Wilhelm Pieck, who had held the position of president since 1949, died in 1960, the presidency was transformed into the ‘Staatsrat’ (State Council). The State Council still had a president who acted as de-facto head of state and head of the executive, but it was legally a collegiate organ. Although there were plans to revive the presidency of the GDR after the fall of the Berlin wall, this never happened due to Germany’s reunification in 1990. The legacy of the Weimar presidency is much stronger, although it largely served as a negative example. During the West German constitutional convention, delegates quickly agreed that the strong and popularly elected presidency of the Weimar republic had been one of its greatest problems. Consequently, they created a weak, indirectly elected office, and placed responsibility for governance in the hands of the chancellor. Even today, calls for the introduction of popular presidential elections are regularly answered by referring to the Weimar experience and the dangers of populism (as such, arguments often resemble Juan Linz’ ‘Perils of presidentialism’). German presidents are now rarely called upon to provide political (rather than moral) leadership; yet, the Weimar experience and reflections at the constitutional convention continue to influence the way in which incumbents interpret and perform their role as head of state. This entry was posted in Germany and tagged Collegiate Executive, German Democratic Republic, Germany, historic presidencies, Presidential Power, Weimar Republic on November 19, 2018 by Philipp Köker.